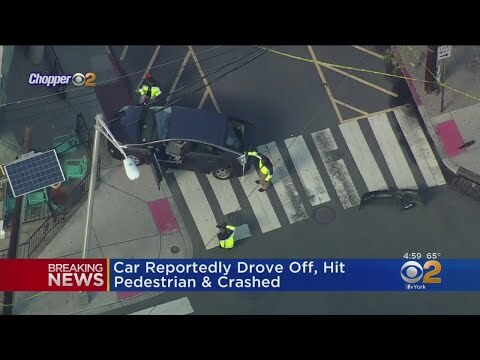 The Hudson County Prosecutor's Office urged motorists Tuesday to avoid a large area around 1st and Hudson streets where a crash investigation was underway. Images from social media show a car on the sidewalk crashed into a building at 1st and Hudson. According to multiple media reports and the Hudson County Prosecutor's Office, a car was involved in a crash at Bloomfield and First around 4 o'clock. The car reportedly fled the scene traveling east on First and hit the pedestrian. The driver was taken into custody. Information about the extent of injuries or the identities of those involved was not immediately available. This story will be updated as more information comes in.